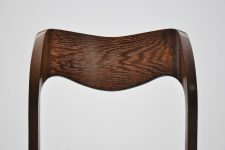 Very nice set of dining chairs. 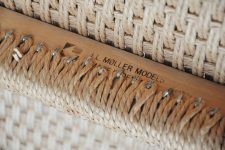 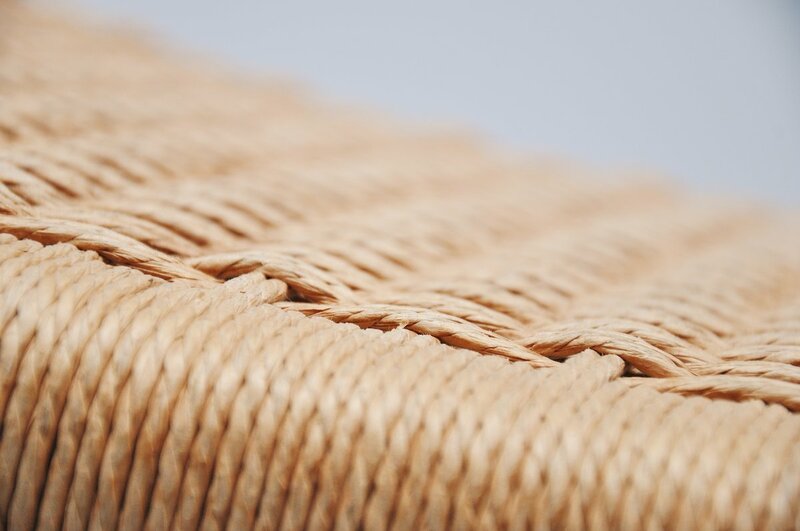 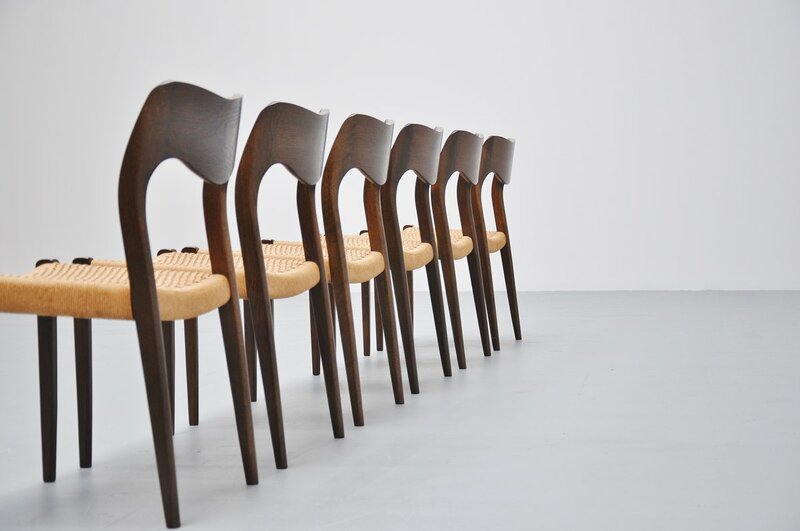 Classics designed by Niels O Moller. 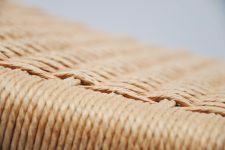 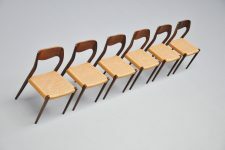 This is for a set of 6 chairs in dark stained oak and they have very nice papercord seats. 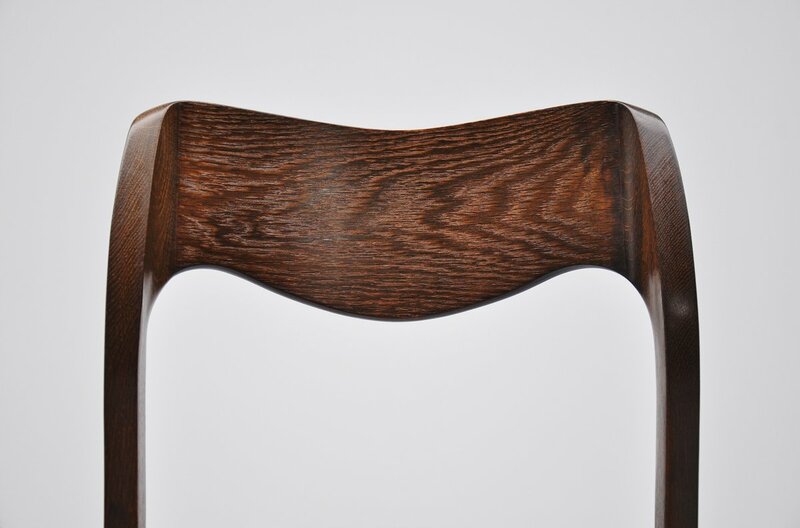 The chairs are in very good original condition and all chairs are brand marked. 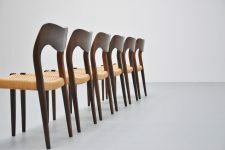 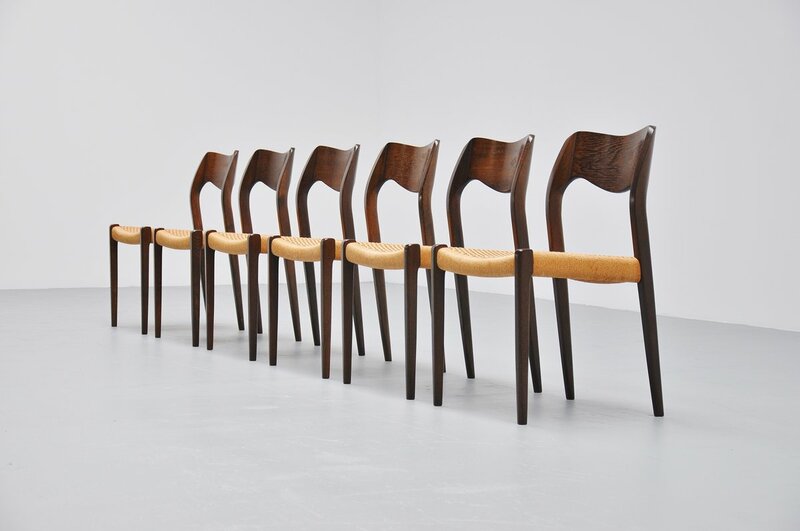 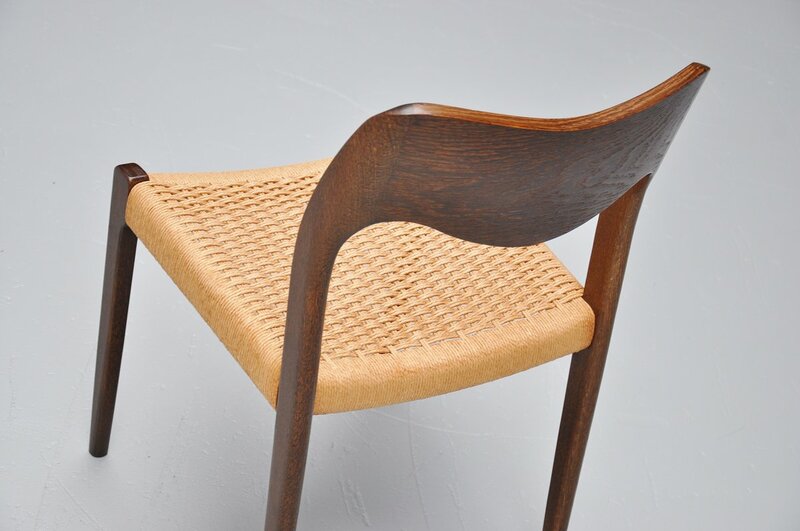 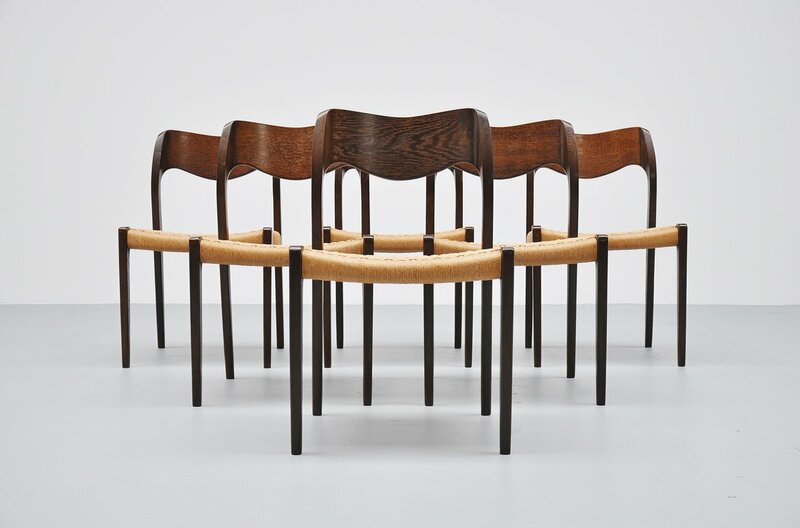 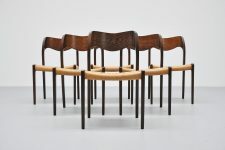 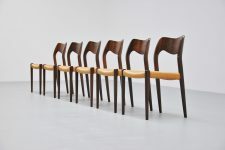 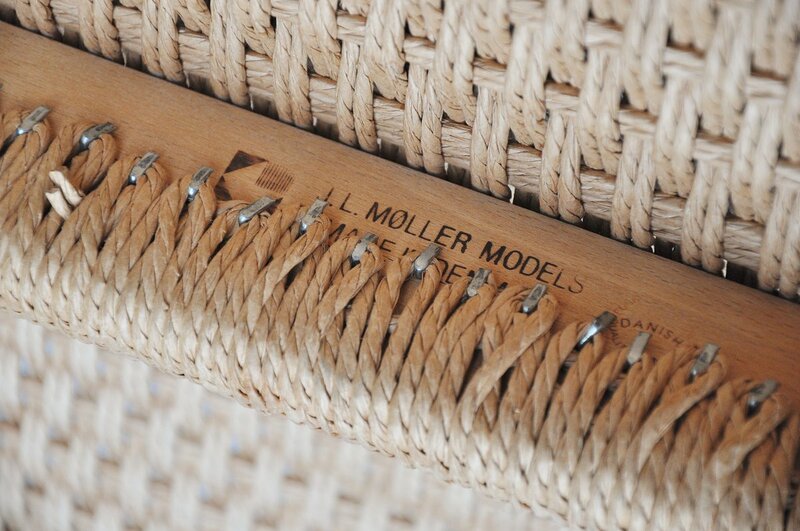 Uncommon set of Moller chairs.